Low-flow Toilet | Ken Neyer Plumbing, Inc.
Want to Cut Down on Water Usage? We Have Some Advice! Nobody really wants to waste water. 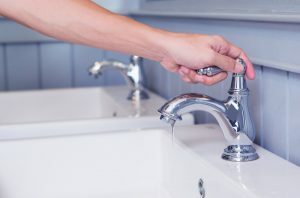 But it’s too easy to fall into patterns in a home that lead to water waste or to let basic plumbing tasks that can lower water consumption go undone. Eventually, you might find yourself looking at water bills that seem far too high—higher than you remember paying. Water conservation isn’t a single task, but a series of connected ones. You can change your household’s water-using habits, have plumbing troubles fixed, and have low-flow fixtures and appliances installed. Below is a list of ways to save water, from basics to jobs you can arrange with a licensed plumber. Posted in Plumbing | Comments Off on Want to Cut Down on Water Usage? We Have Some Advice! When Should I Replace the Toilet in My Bathroom? 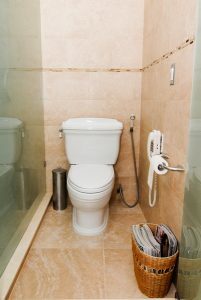 The toilet is a vital piece of functional plumbing in your home. You can’t get along without one! But you also shouldn’t tolerate having an old toilet that’s starting to have chronic repair issues or is wasting water. Like any fixture or appliance in a household, a toilet isn’t designed to last forever. At some point, you’ll want to have professional plumbers take out the old one and install a new one. 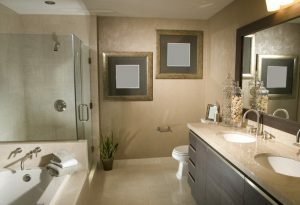 When is it time to take this step with your bathroom plumbing? We have some tips below. Posted in Plumbing | Comments Off on When Should I Replace the Toilet in My Bathroom? What appliance in your home uses the most water per year? You’d likely guess “the shower,” but that’s not correct. (Unless you take ridiculously long showers—which you should stop doing right away!) No, the correct answer is “the bathroom toilet.” The toilet accounts for 40% of all indoor water use. This means that a toilet that uses too much water is the biggest source of household water waste. If you have an older toilet (more than 20 years), we recommend looking into having it replaced with a special low-flow model, also known as a low-flush toilet. But a low-flow toilet is also a good idea as a replacement for newer standard toilets. The difference in water use is still significant.